I'm starting to dig deeper into my Ojime boxwood carvings. This one is my most valuable I think. It's is signed and is so exquisite. There are 2 mice having a go at a ripe pumpkin. Adorable! 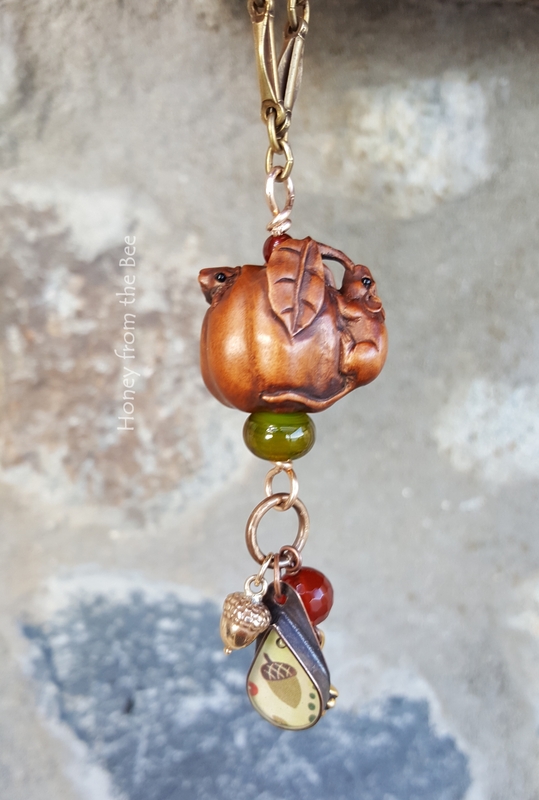 Another special charm I decided to add is the acorn one by Jade Scott. 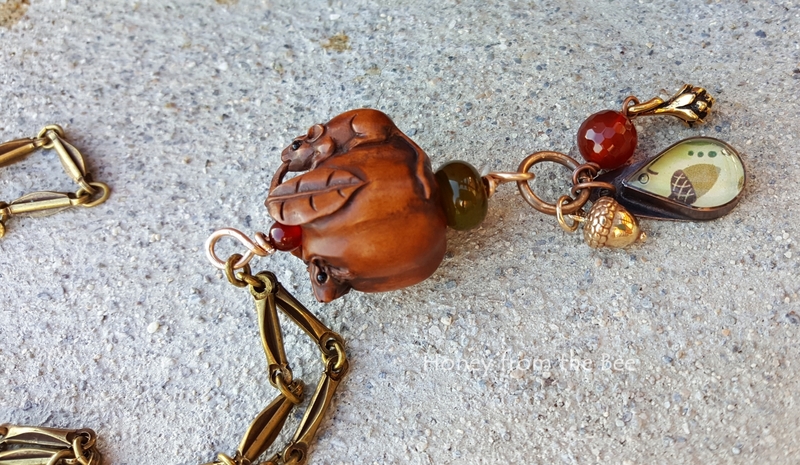 She used to create such fun copper and resin charms, but she decided that she had another calling and is no longer making charms. I was fortunate to get a couple direclty, but I also bought out another friend's collection this past summer. 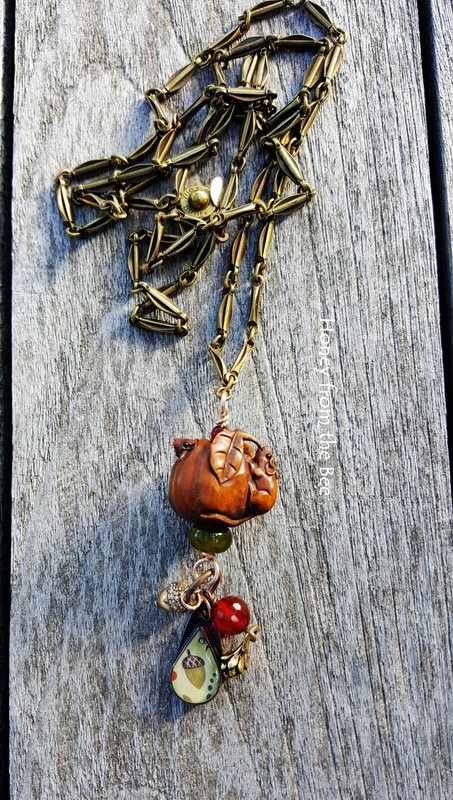 I've added a bronze acorn, carnelian beads and a pretty dark green lampwork bead. All hanging from all (but 6 inches!) I have left of my very favorite vintage chain of all time. It's a brass one that reminds me of leaves or petals. I doubt I'll find more since it was a close out sale years ago. This sweet necklace has a 36" chain. The pendant hangs almost 3" from the top of the wire bail to the longest dangle.